What are the top landmarks in Dublin? Explore the exhibits at Guinness Storehouse, a favourite museum in The Liberties. Attend a sporting event or simply enjoy the lively bars while you're in the area. Explore the waterfront in Dublin with a trip to Dublin Port. 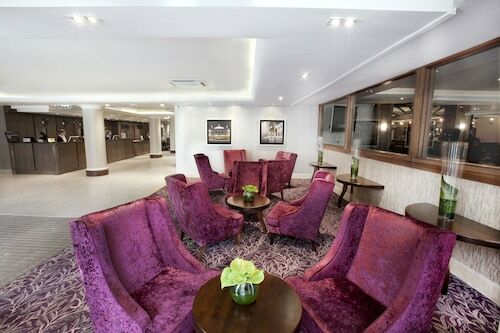 Attend a football match or simply enjoy the lively bars while you're in the area. Explore the great outdoors with a trip to St. Stephen's Green, a popular green space in Dublin. Make time for the shops and local tours in this walkable area. City Centre Dublin is an historic neighbourhood that’s popular for its bars. For a taste of local culture, you can visit the live music and museums. Ballsbridge is a welcoming neighbourhood that’s popular for its restaurants. You can satisfy your cultural palate with live music and shopping. Terenure is a neighbourhood that welcomes all visitors. Portobello is a neighbourhood that welcomes all visitors. Ranelagh is a neighbourhood that welcomes all visitors. Donaghmede is a welcoming neighbourhood. Staff at hotel reception were very helpfull with maps and information onwhat to see whilst in Dublin and recommended the Hop on Bus which again stopped outside the hotel and was a worthwhile trip. 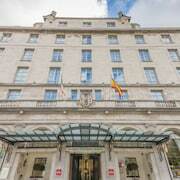 Phoenix Park Hotel is in a fairly quiet part of Dublin, close to Heuston Rail Station (the last stop on the citylink bus route from the airport), so it's easy to get to.. The staff are lovely and friendly very helpful and polite and has good advice on where to eat out and also what to see when you're in Dublin , and they also have a lovely restaurant and bar so if you don't want to go out in the rain you can stay in ? 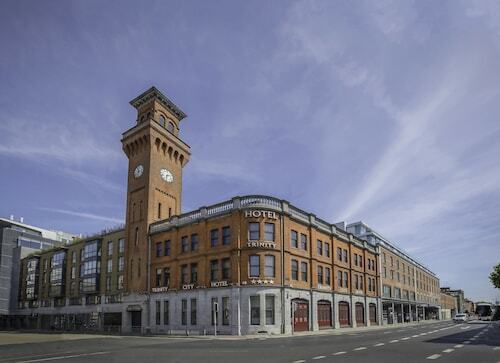 However, we were looking for something central and within easy walking distance of shops and bars - so accepted that we were bang in the middle of a city and there would be an element of noise - and, without a doubt would use this hotel again when visiting Dublin. Dublin on the summer solstice. Opens in a new window. 48 Hours in Dublin. Opens in a new window. Road-tripping Ireland. Opens in a new window. 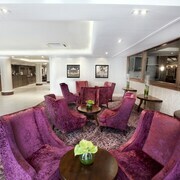 Lovely boutique hotel, very accessible to public transport and in a cracking location. Just near the park. 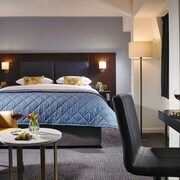 Gorgeous rooms, and restful atmosphere. My favorite hotel in Dublin! It is quiet, clean with super friendly staff and still within walking distance to the center of town. Eclectic Dublin mixes art, culture, heritage and business with a hedonistic buzz that has helped to make it one of Europe’s favoured destinations. Dublin’s hotels also offers an equally eclectic mix of styles, from cooler-than-thou designer hotels to budget accommodation that’s perfect for backpackers. Unlike with many other cities there are no clearly defined areas for business hotels, boutique hotels, luxury hotels or guesthouses. Dublin is as carefree in its clustering of accommodation choices as it is in its mix of medieval avenues, Georgian streets and contemporary districts. So, where should you stay in Dublin? To a large extent it all depends on what you are looking to get out of your stay. The Docklands is becoming the city’s focal point for design-conscious hotels where those who like their hotels to make an artistic statement will feel at home. Spearheaded by signature developments by famous architects such as Manuel Aires Mateus, a certain self-conscious glamour has been firmly injected into the quaysides. But it's far from all designer thrills as you can still find plenty of no-frill budget hotels lurking nearby too. 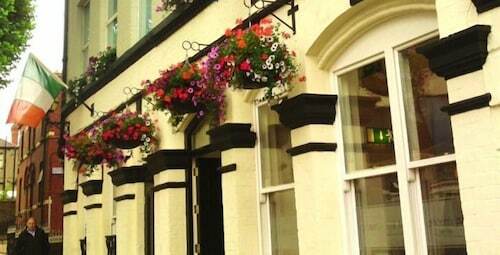 Likewise whilst there is the largest concentration of budget hotels just north of the river, if you are looking to stay to the south you will find the selection is far from limited. Downriver near the Docklands you’ll find most of the city’s business hotels, close to the headquarters of many famous Dublin companies. For those on official business the embassy quarters of Ballsbridge in Dublin 4 are the favoured place to lay their diplomatic heads. For those looking for nightlife a hotel in Temple Bar or just off Dame Street will place you in the beating heart of Dublin’s pub and club scene. But being in the thick of it does very much mean it is hard to escape it: even the most luxury hotels cannot keep the noise from entering the hotel at any time it pleases throughout the night. 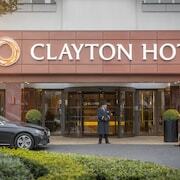 If you can’t afford the five star hotel prices but are looking for something special there are many Dublin guesthouses that can offer you a royal welcome without charging you a king’s ransom. Further away from the city centre, but not too far to make it difficult to feel part of it, you can enjoy sea views and a calmer pace of life in Dublin Bay. With the delights of a long sandy stretch of beach, the soothing sounds of the Irish Sea and all the delights of Dublin on your doorstep you really can get the best of both worlds with a Dublin Bay hotel. Wherever you choose to stay in Dublin it’s hard to not love the city. James Joyce, Dublin’s most famous exile, looking back on his time in the city exclaimed that “When I die Dublin will be written in my heart”...Well, it has that effect on you. If you like Dublin then why not explore some of Ireland's other magnificent cities? 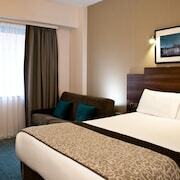 Book great deals on hotels in Galway and Cork hotels with Expedia. Explore Dublin with Expedia's Travel Guides to find the best flights, cars, holiday packages and more!